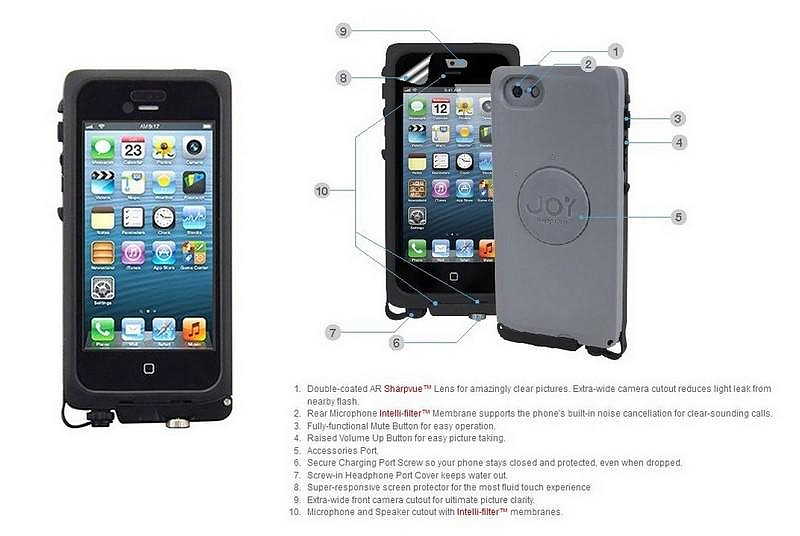 HomeBlogTechnologyaXtion Pro, the ultimate waterproof iPhone case. The aXtion Pro is the solution for ultimate protection, unbelievable sound, unparalleled picture-taking, and unsurpassed touchscreen experience. A waterproof iPhone case like no other! The aXtion Pro is an airtight, watertight, everything-tight marvel that can handle the toughest messes. It’s even engineered to stay underwater for up to an hour at 2 meter depth. 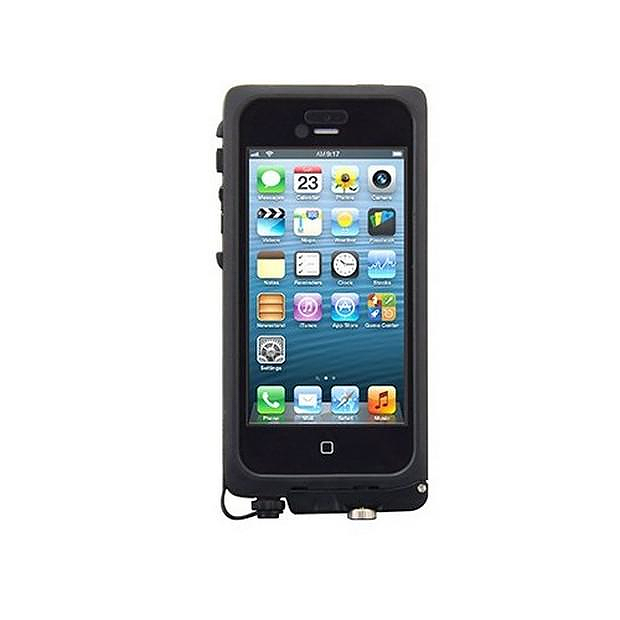 Certified at IP68 standards this is a waterproof iPhone case you can trust. 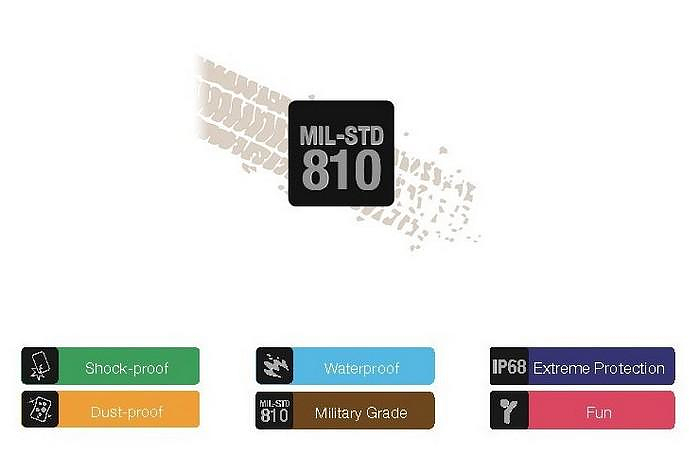 IP-68 is the international standard for water and dust protection for electronic devices. 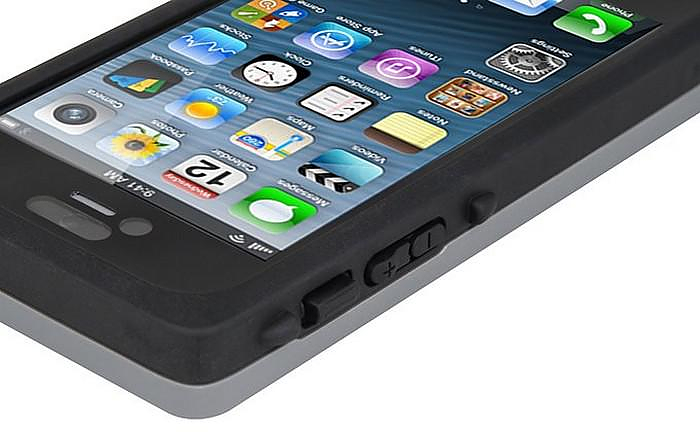 Your iPhone 5 is safe from water and dirt. You can submerge it in water. You can drop it in the dirt. IP68 the highest rating in the IEC 60529 Ingress Protection standards. 6 is the highest rating for solid particles (Completely Dust-tight). 8 is the highest rating for liquids (Withstands continuous submersion). IP-68 rated enclosures can withstand circulating talcum powder for 8 hours and water immersion to 2m for 1 hour (Military-Grade Shockproof Protection). 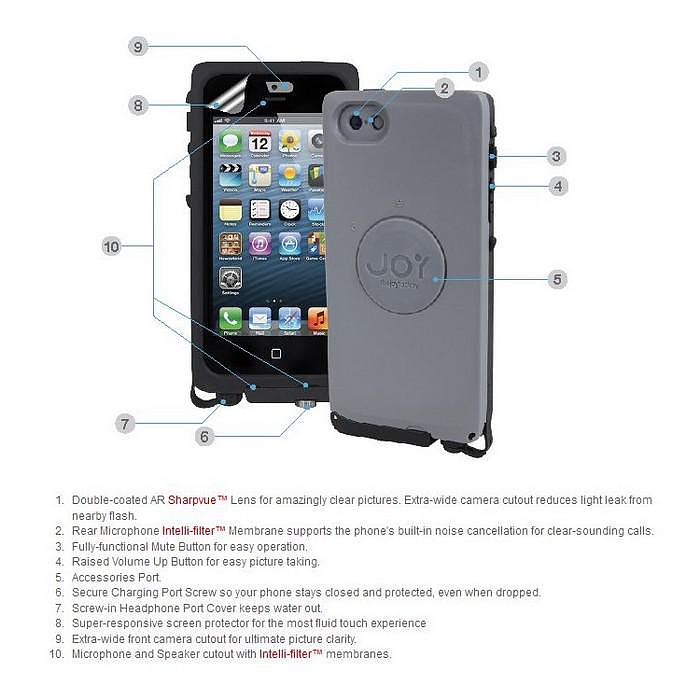 This tough-as-nails waterproof iPhone 5 case fights the onslaughts of drops, bumps, and shocks that your active life brings … and doesn’t break a sweat. 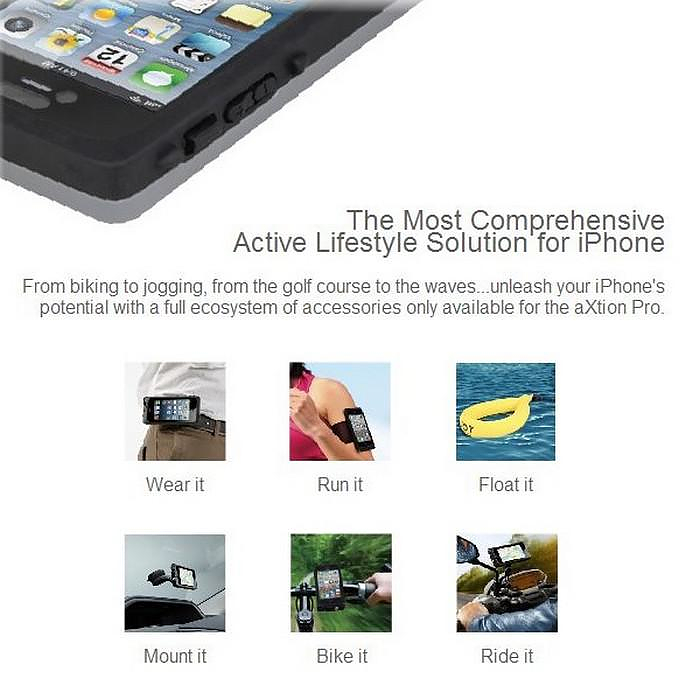 The aXtion Pro case for iPhone is rated to provide the highest level of shockproof protection, you can take your iPhone along on all your adventures… from biking to jogging, from the golf course to the waves… with ultimate piece of mind. 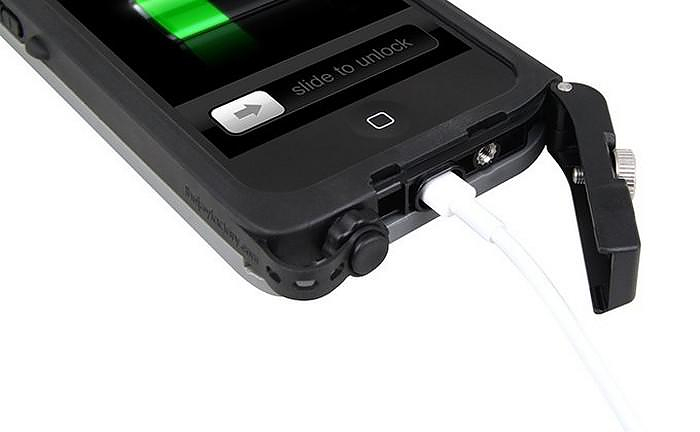 You can easily charge your phone with the aXtion Pro on, but once you screw the case closed, its clever charging port is designed to stay hermetically closed and keep your phone safe. 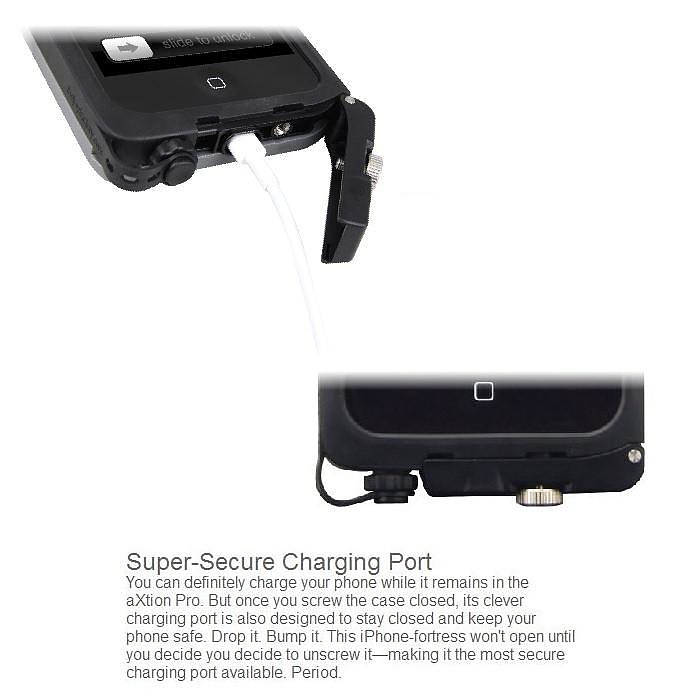 This iPhone-fortress won’t open until you decide to unscrew it—making it the most secure charging port available, its safe even if you drop it underwater. 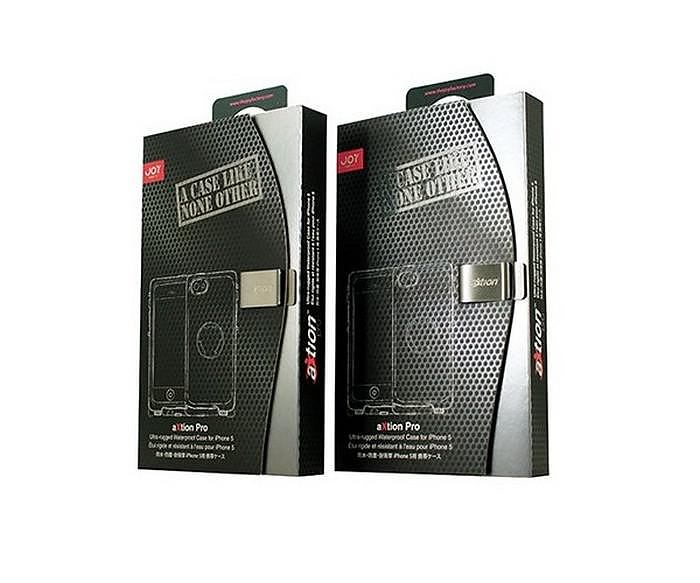 Apart from full protection aXtion Pro offers great audio! The Joy Factory has included Intelli-filter™ membranes to protect every speaker and microphone (even over the tiny rear mic) so the aXtion Pro blocks water, not sound. Your phone calls and favorite tunes come through loud and clear. 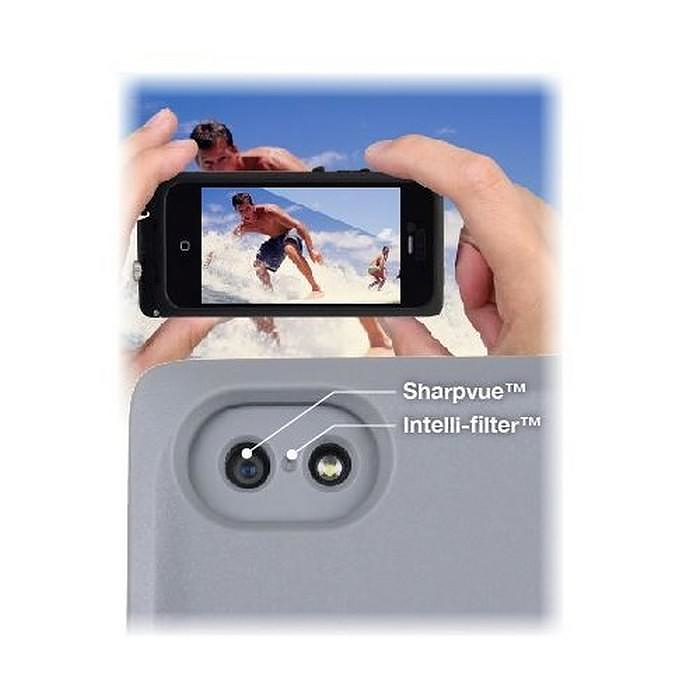 Take beautifully clear shots on your iPhone even in inhospitable, messy environments. With the double AR coated, scratchproof Sharpvue & trade lens and the extra-large camera cutout, your still shots and video will look great. 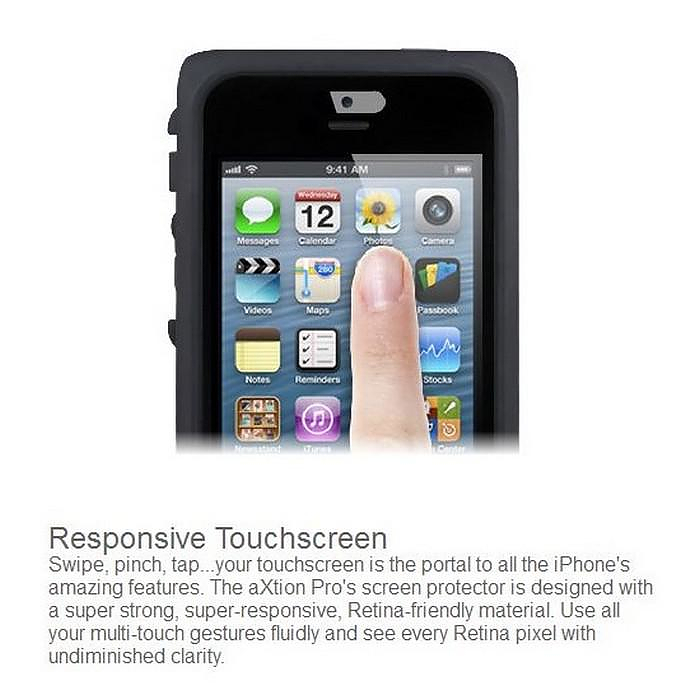 The aXtion Pro’s screen protector is designed with a super strong, super-responsive, Retina-friendly material. Use all your multi-touch gestures fluidly and see every Retina pixel with undiminished clarity.